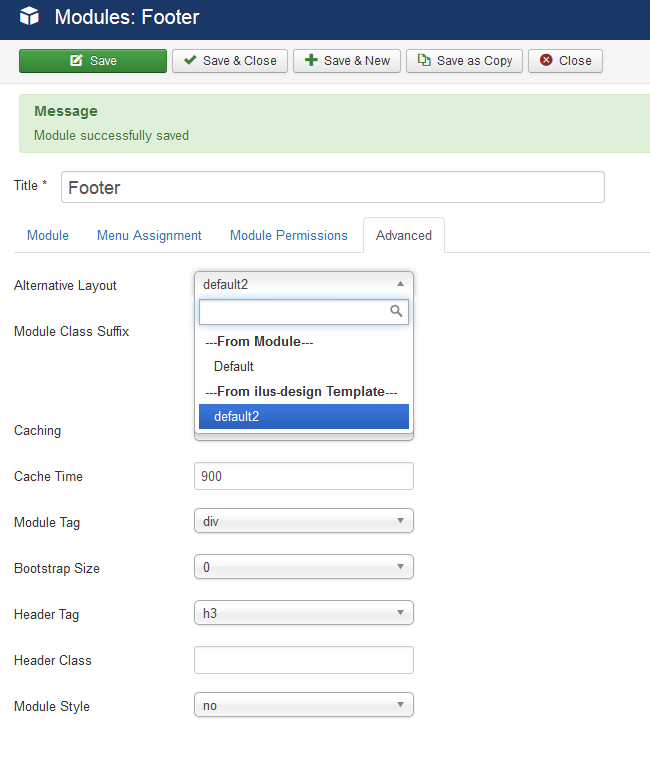 Is there a way that I can create a module template and give it a name with spaces? At the moment it takes it's name from the file name, but that is not very neat for the user. Can we create a language string to override this? For example could we make the screenshot "default 2" instead. And... as a second question. I'd like to add a hint so I can show users what the options are via an image. Would this be possible via a language string? I only want to do it for this specific module and not all of the Joomla! modules. Browse other questions tagged custom-module module-params or ask your own question.